All kids (and of course adults too!) 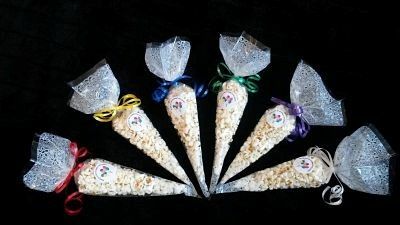 love popcorn so why not add it to the menu at your event. Our popcorn bags come complete with curling ribbon and a sticker saying "Thank You For Coming To My Party" (unless advised otherwise). Ribbon can also be the colour of your choice so please do state this when ordering.